If you have any changes to make to the original design - size (4x6), font, color, etc. - Please specify at time of order. Changes requested after this time may be subject to additional fees. Many of our items have coordinating thank you cards (or invitations) - be sure to check out my other items and Birthday Packages so you don't miss a great deal! (1) Add this item to your cart. (2) In "NOTES TO SELLER" section of checkout process - please provide me with your event/card information (date, time, age, name, address, rsvp, etc.) as well as ANY CHANGES to the original design you'd like to make. 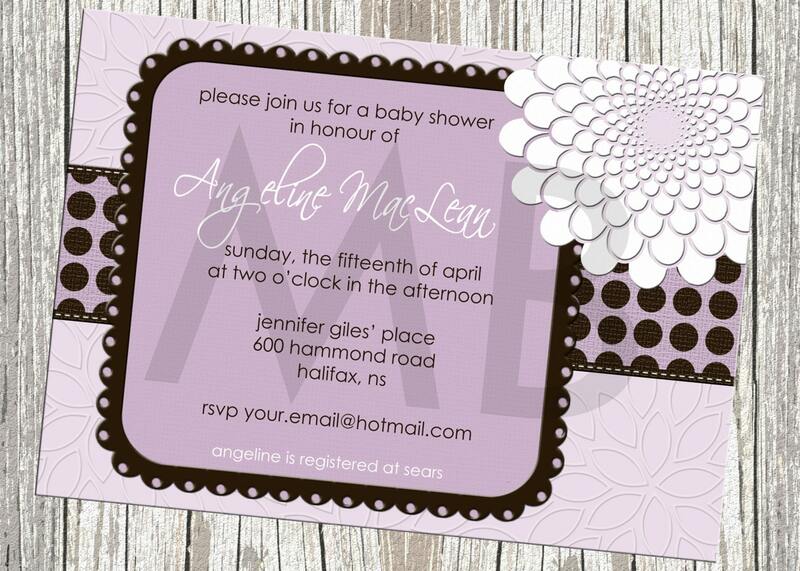 (3) IF YOUR DESIGN INCLUDES A PHOTO ELEMENT: Please email me an uncropped digital photo at your earliest convenience to: "jen@mommybraindesigns.ca". If you have a specific crop in mind, let me know and I will do my best to accommodate. :) Please try to keep in mind the size/layout of the photo element in your selected design when choosing a photo. (3) Check out and make payment with paypal. (4) Once I receive all of your information and your photograph (if applicable), you will receive your first proof within 24-48 hours. Once final approval is complete, you will receive a digital file, formatted to 5x7" size (or your requested size), which you can take to any local photo processing center for printing - Walmart, Costco, Target, etc.. You can also choose to print on card stock or send electronically via email or Facebook. Designs have been watermarked with an "MB" to prevent design theft. Shipped on time, great price and item wasvery cute and just what I asked for! Payment required at time of purchase. Proofs will be sent to you for approval to ensure you are happy with your chosen options, colors and text. I will work with you to ensure that you are 100% happy with the finished product. Once a card has been ordered, refunds will not be issued. Payment is for the work completed and, although your invite may not be finalized, time and effort has already been put into your order. Please note that all computers have different color display settings. I cannot be held responsible for slight variations in color due to monitor variations. I cannot be held responsible for lost e-mail due to spam filters. If you haven't heard from me via e-mail within 24 hours, please convo me through etsy and check your convos for my response. I cannot do business over the phone due to family obligations. My listings are for digital files ONLY. These are not paper products but computer generated files designed for you to print at your local photo processing center - Costco, Walmart, etc. - at your convenience. It is my goal to respond to any communication from customers within 24 hours. Additionally, I aim to have a proof to you for approval within 24-48 hours of receiving your information and photograph (if applicable). Some invitations contain graphics which are copyrighted and, thus, certain printers may be unwilling to print these items (this is VERY rare). Please contact me if you have any issues printing. With purchase, I am granting you the right to print my design however you wish. However, the rights of the design are still that of MOmMy bRaIn DEsIGns and, thus, you may not claim the design as your own. Any posting of my designs must be credited to MOmMy bRaIn DEsIGns. I fully uphold the legal rights of photographers. It is illegal for me to use images that are copyrighted without the permission of the photographer or company that holds the copyright. By submitting photos to MOmMy bRaIn DEsIGns, you agree that you are the photographer or have permission in the form of a copyright license from the copyright holder. You also agree to take full responsibility for any misuse of copyrighted images and agree to not hold me liable for any misuse of copyrighted images. My turn-around standard is 1-2 DAYS from receipt of ALL necessary details and photo(s) need to complete the card. Unfortunately, I don't have time to email every customer post-order to request these items so please follow the above instructions when placing your order to ensure a happy experience! I only provide digital files at this time. I do NOT offer printing services. You will have to print the file yourself. Printing tips will be provided upon file delivery (via email). I will ONLY offer a cancellation with full refund if no time has been spent creating your card OR no file has been sent. What size card should I purchase? If you are printing your card as if it was a photograph - the sizing is simple (4x6 or 5x7" are standard photograph sizes). IF you are printing at a print house (Staples, Costco, Shutterfly, Vistaprint, etc.) PLEASE check with them on their required sizing - bleed size, etc. As sometimes they will advertise a 5x7" card but it isn't a true 5x7" file and will result is substandard quality. Please check this BEFORE placing your order. The standard file I send will be a JPEG (a 300dpi - normal people language - really good quality). A JPEG is the same type of file that would come out of a digital camera. If you require a PDF, please let me know in the "notes to seller" during checkout. Are cell phone photos OK to use in your cards? It depends... cropped or zoomed cell phone pics can be horrible grainy, unclear when placed into my high resolution files. IF you are really in love with your photo, please send me the uncropped, original file to ensure the best possible quality. Generally, phone pics are fine. I will certainly do my best to work with you to make sure your card is perfect!